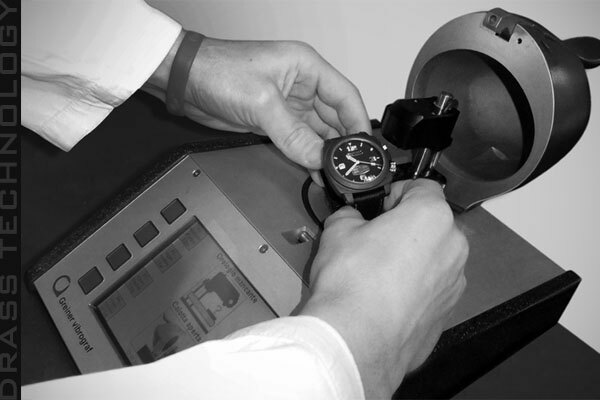 All Drass Watches are designed and manufactured to the highest standard, making use of first class components. The materials of the casing are exclusively polished steel, treated steel and the tungum pipe which are all used for the outfitting of the saturation control panels and diving bells. The time is checked in 4 different positions and the quick click date button is checked. In the early stages of construction, a shock resistance test to evaluate the glass and effects on movements of parts is carried out. 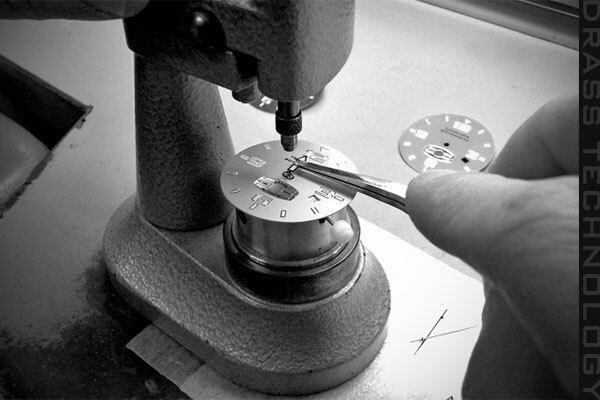 During the placing of the dial, a final check of the date setting button and rotating movement of dial are carried out. After the placing of the spheres, their movement is checked along with the date button in position 12. All parts are thoroughly cleaned before the closing of the watch. Once the watch is completely assembled, the following are checked: water-proofing, compression, decompression and compression in water. The date is then set and left for 36 hours, after which it is reset and charged and then the normal functions are checked. The final check uses a 10 diopter lens and white lights.